Speaking recently on NBC’s Meet the Press, Senate Majority Leader Harry Reid stated “The Tea Party will disappear when the economy gets better and the economy’s getting better all the time.” Separate from the fact that Senator Reid’s statement on the economy is a complete fabrication, Mr. Reid misses the point of the tea party movement entirely. 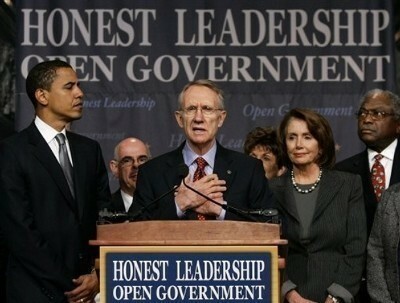 Harry Reid and his band of criminals believe themselves to be above the law. The Constitution is the highest law of the land and they believe that their wishes are more important than the Constitution. The tea party will not disappear until people like Mr. Reid are thrown out of government and replaced with Americans who believe in the rule of law — not the rule of men. Improving each of these items will improve the national economy, but an improving economy will not make the tea party irrelevant. The tea party will never be irrelevant as long as Mr. Reid has a job in the United States government.